Trends that have not been communicated do not exist! Many small labels reflect trends in our society, exspecially in kidswear. ShowStyleKids looks out for those trend to bring them to your business. Many small labels reflect trends in our society. They also create trends. Brands are in the middle of trendsetting, not just next to it. Showstylekids looks out for all those new ideas and provides thoroughly a guidance for trends. With their reports you can get an thorough impression of what´s happening in the international business. A not-to-be-missed tool not only for shops, but also for agents, distributors, brands and producers! The Shoes trends report is available for the introduction price of € 19,- Regular price € 49,-. The report contains high-res pictures so you can print it for your personal use. A not to be missed tool for all shops, agents, buyers and other children’s fashion professionals. 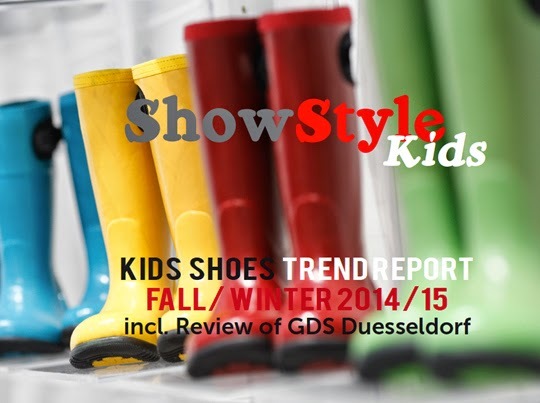 ShowStyleKids Trend Reports are now online! ShowStyleKids is the online pay-per-download magazine featuring an all inclusive overview of all important European children's trade fairs. 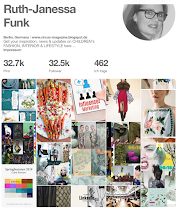 ShowStyleKids will feature not only catwalk images of the latest children's fashion shows, but also provide you with an in depth analysis on whats trending in the contemporary market. ShowStyleKids will be your companion to what is on show in the various trade fairs, show you what is happening on the different fairs and give you a visual in depth review of the current trends. With ShowStyleKids you have all the information you need for your business. ShowStyleKids will act as your companion to keep a track on the latest trends in the international children's fashion business. 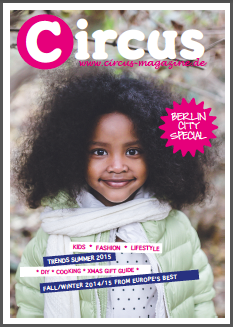 With your personal copy of ShowStyleKids you have an overview of the current trends in the international market. A not-to-be-missed tool not only for shops, but also for agents, distributors, brands and producers! Visit www.showstylekids.com for more information. If you wish to stay updated, you can register for the newsletter. We are very happy to present to you ShowStyleKids! 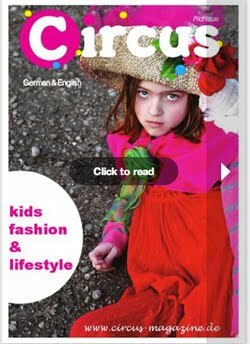 We bring you in-depth overviews of all the important children´s fashion and accessories fairs across Europe. With our reports you can get an thorough impression of what´s happening in the international business. A not-to-be-missed tool not only for shops, but also for agents, distributors, brands and producers! 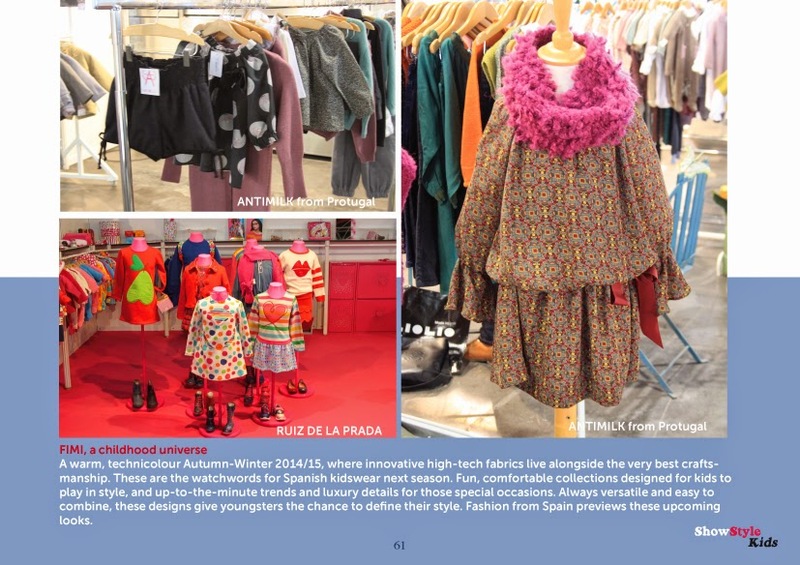 The European show report is an in-depth presentation of major European children’s fashion and accessories fairs. 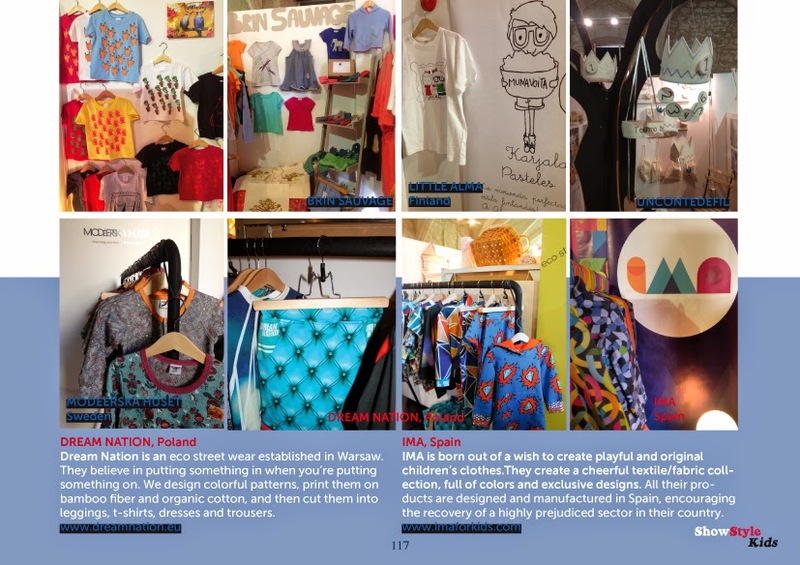 Little Gallery (Dusseldorf), Bread & Butter (Berlin), Pitti Bimbo (Florence), kleine fabriek (Amsterdam), FIMI (Madrid), Playtime (Paris), Bubble (London), CIFF Kids (Copenhagen) and Little Bareclona (Barcelona) are featured. You can expect an overview of the fairs, brands-to-watch and catwalk pictures. Per immediately PDF download,129 pages full of high-res pictures so you can print it for your personal use. The Euro report is only now available for the introduction price of € 39,- (regular price € 149,-). If you weren’t able to visit Pitti Bimbo 78, then the ShowStyleKids report on the most important international children’s trade fair is an essential guide for you. On more than 50 pages the different areas are presented, what’s hot, catwalk pictures and a list of exhibitors. 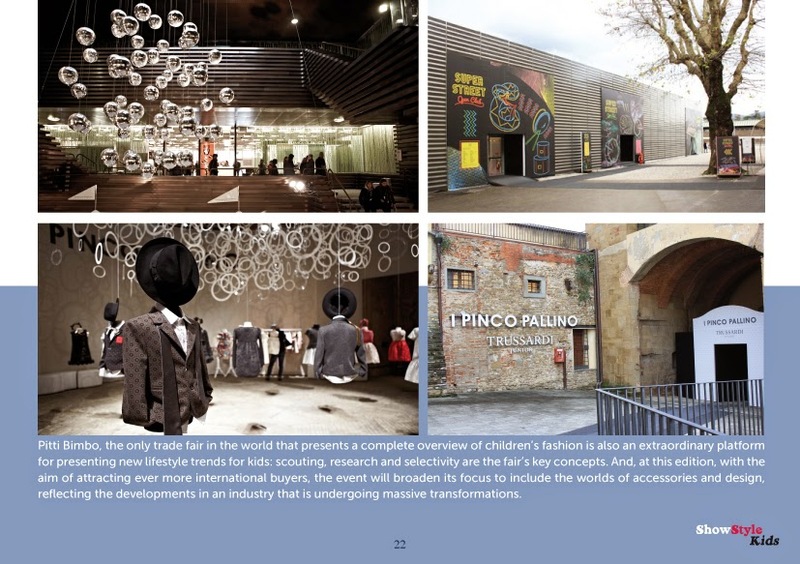 The Pitti Bimbo report is available now for the introduction price of € 29,-. (Regular price € 69,-). 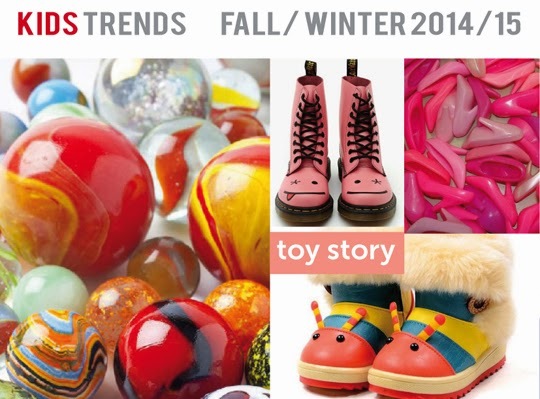 The kids shoes trend report gives you an overview of the Fall / Winter 2014 -2015 trends. 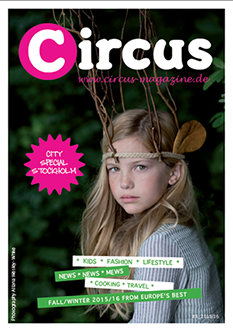 Next to what to expect for the next season, it also features an overview of the GDS fair in Duesseldorf. 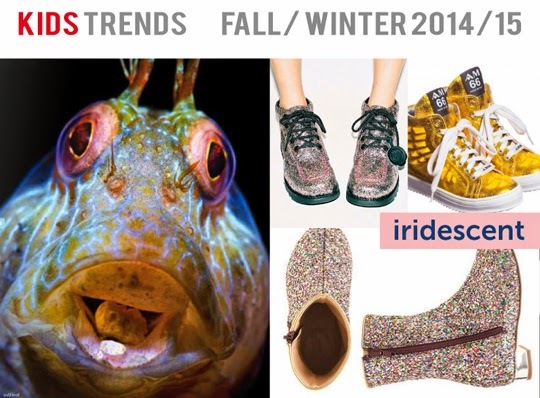 The Shoes trends report is available for the introduction price of € 19,-. (Regular price € 49,-).